Young was born in Pittston, Maine on October 30, 1820. 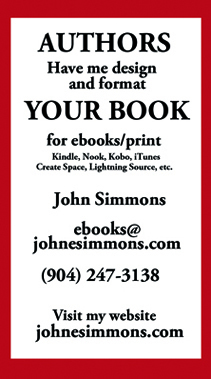 He graduated from Virginia Theological Seminary in April, 1845 and a month later was assigned to St. Johns Episcopal Church in Jacksonville. He was ordained in Tallahassee the next year, and he served as one of only two priests in the state until 1847. From Florida he moved to various posts in Texas, Mississippi and Louisiana. In 1855, he became assistant pastor at Trinity Church in New York City. 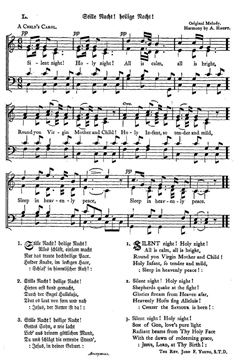 The hymn “Stille Nacht! 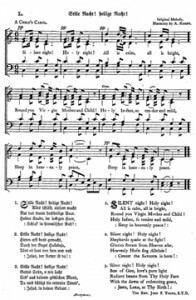 Heillge Nacht!” was written in Austria by Rev. Josef Mohr in 1816. It was originally a six verse poem. Two years later, the Reverend was assigned to a parish in Oberndorf, where he met Franz Xaver Gruber. Mohr asked Gruber to set the poem to music. The parish’s organ had fallen in to such disrepair, Gruber wrote the music for choir accompanied by guitar. Rumors say that the song was set to be performed on Christmas Eve when Mohn and Gruber found that the church’s organ had been damaged by mice. They quickly wrote the arrangement for guitar to save the performance. In July, 1867, the Rev. Young was consecrated as the second Bishop of Florida and returned to Jacksonville. During his nearly two decades as bishop, he increased the number of parishes from 20 to 48, established both a boy’s school and a girl’s school in Jacksonville, and helped revive The University of the South at Suwannee, Tennessee. In Key West, he established St. Pauls, the first Episcopal church for African-Americans, and St. Johns, a Spanish-language parish for Cubans. During a trip to New York, Bishop Young caught pneumonia and died on November 15, 1885. His body was returned to Jacksonville. Two years later, St. Andrews Church was dedicated to him. St. Andrews still stands as headquarters of the Jacksonville Historical Society. The gravesite, like many in Old City Cemetery, fell into disrepair. 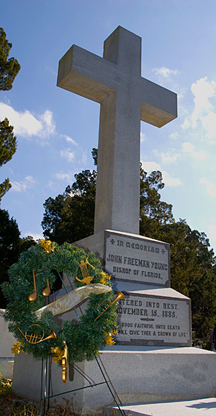 In July, 2008, the headstones of both Bishop Young and his wife were restored through the efforts of Flagler’s Bill Egan and the Episcopal Diocese of Florida. Bishop Young’s gravesite is decorated every year by the Austrian Silent Night Society.